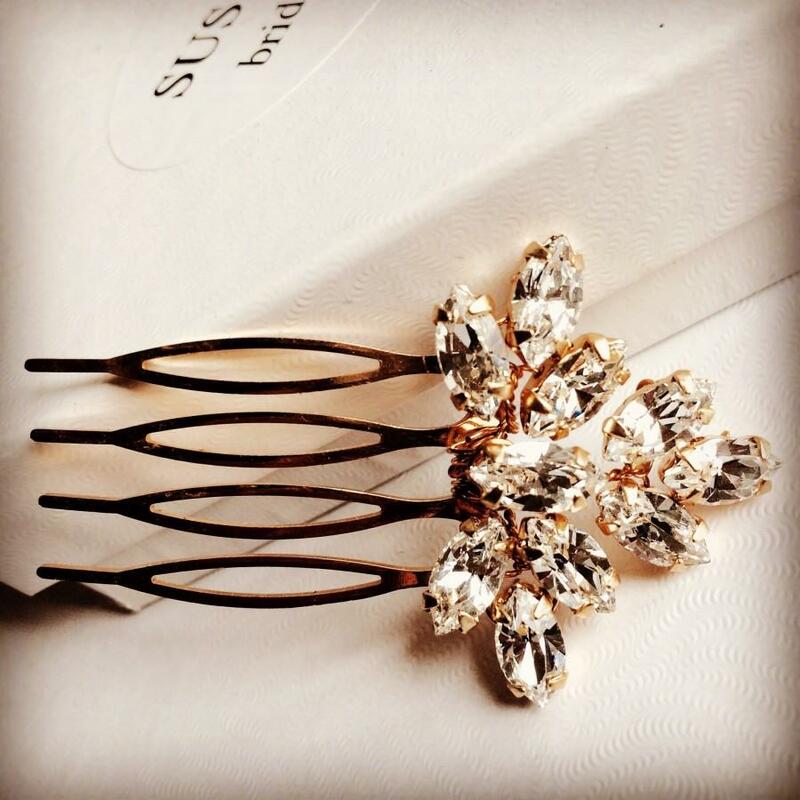 Handmade Swarovski rhinestone mini hair comb made on a gold plated base. The decoration on the comb measures 4cm by 3cm. Each piece is individually made in Somerset, U.K.